It was blunt, but it was what I’d come to expect from a man who owned (and lived above) a funeral home. I’d spent a good chunk of my youth there, watching families grieve while I sat quietly upstairs attempting not to disturb the deference below. This wasn’t my first experience with death, but nothing had ever hit me like this. I felt empty and confused, unable to process the gravity of the situation. I went to a Catholic school, so many of the adults I was surrounded by took the stance that Matt’s act would land him in hell, suffering for an eternity. These sentiments made no sense to me and I became disenfranchised from them. He was a human being, one that struggled with depression, and I took to finding something—anything—I could relate to and pull me through it. Matt and I had both become interested in punk rock, and it was that music that would help me find the answers I couldn’t discover on my own. I’d already become a fan of Hot Water Music, but during a random playback of Forever And Counting–one of the band’s two albums from 1997—everything came into focus. 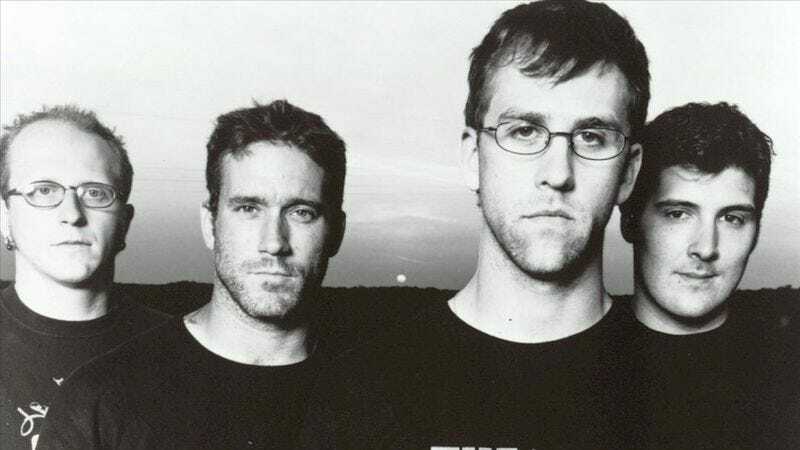 “Minno” expressed everything I couldn’t articulate as vocalists Chuck Ragan and Chris Wollard trade lines about the loss of one of their friends to suicide. No moment hit harder than, “The shelter / And the future / You planned on / I’ll miss them.” Tears rushed out, feeling like for the first time in forever someone said something that made sense to me. Forever And Counting gave me solace and purpose, allowing me to take the pain and push forward, giving me a new self-assuredness. Sadly, this wouldn’t be the last time I’d lose someone to suicide, but instead of getting stuck in the yearlong mope of Matt’s death I was able to turn to “Minno” for a sense of relief. It was a reminder that I’d been this distraught before and been able to overcome it, taking something positive from the act of grieving. Whenever I’m low there are plenty of artists I go to that enable me to wallow, but when I need to shift away from that and come out the other side, there’s nothing as empowering as a spin of Forever And Counting. I may occasionally get stuck in a negative space, but “Minno” reminds me I need to carry on with positivity. Not just for me, but for Matt, too.